Zinc plated steel bolts with a cross pan head. 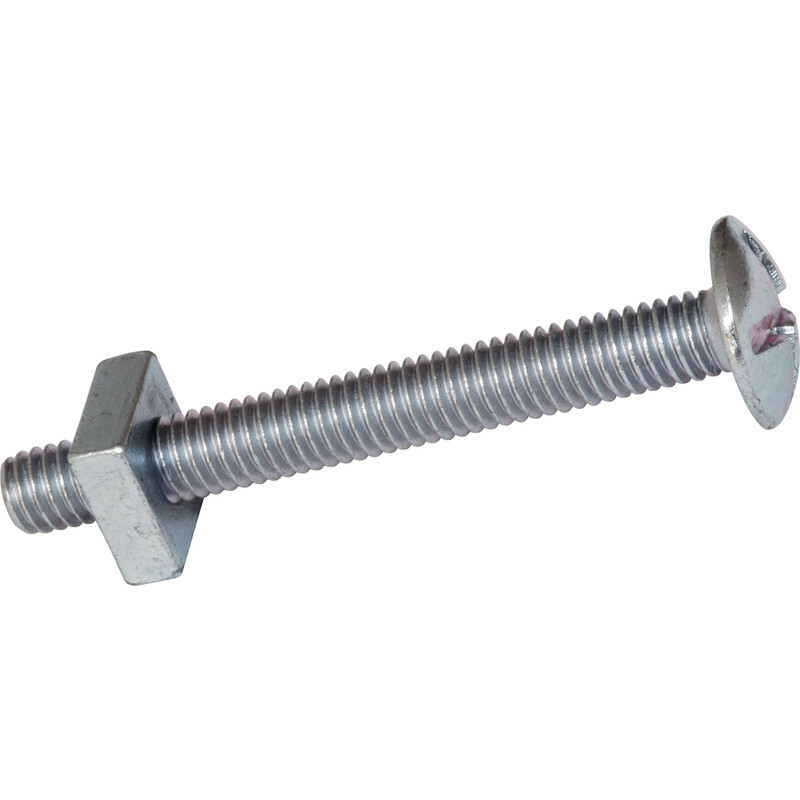 Roofing Bolt M6 x 50 (25 Pack) is rated 4.8 out of 5 by 34. Rated 5 out of 5 by Mickieboy from Did the job I needed them for at a good price Great coach bolts and nuts at a really good price. Did the job I needed them for. Rated 5 out of 5 by Plumbobs from 6mm roofing bolts Perfect for the job repairing garden bench. Rated 5 out of 5 by Bolt lover from You sane bolt If you need an m8 bolt, then these m8 bolts are great. Rated 5 out of 5 by Kai27 from Great value Multi use, attache with tv bracket. Rated 5 out of 5 by Jacobus189 from These roofing bolts are ideal for other uses All rollators have a basic design flaw: the outside edges of the rear wheels need to be smooth for the brake pads to press against, but really they ought to have a deep tread to prevent them from skidding on slippery ground. Whenever I used my rollator downhill it would run away with me, and applying the brakes made no difference – the smooth wheels just skidded. I have solved this problem by fastening two Toolstation 200mm wheels (part # 14747) onto the 175mm rear wheels of the rollator. The brakes continue to press against the original, smooth wheels, but it is the Toolstation wheels with their good deep tread that actually touch the ground. I used three equispaced Toolstation M6 roofing bolts 80mm long (part # 97967)and a 4mm plywood disc of diameter 140mm to spread the load. I am delighted with my modified rollator. I can now walk in complete confidence up and down slopes slippery with wet leaves or frost, and the wheels never skid or slide. I hope that an enterprising manufacturer will take up this idea, and market a rollator using Toolstation wheels and roofing bolts which can be used on slopes outdoors without any danger of slipping or sliding.